The Technical Adviser of the Super Eagles, Gernot Rohr, has reportedly signed a contract extension with the NFF. It has been revealed that the Nigeria Football Federation on Wednesday signed a two–year contract extension with Super Eagles’ Technical Adviser Gernot Rohr. According to Punch Metro, NFF 1st Vice President, Barrister Seyi Akinwunmi, explained that Rohr, initially taken on board in July 2016, deserved the extension after qualifying the Super Eagles for the 2018 FIFA World Cup finals, even with a match to spare. 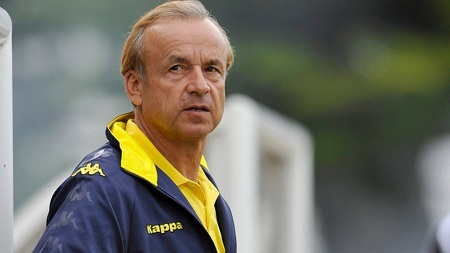 Rohr, who played as a defender and has coached Burkina Faso, Niger Republic and Gabon national teams before taking up the same role with Nigeria said the Super Eagles players and officials must remain level-headed and focused going forward.